Instructions for creating a new text page on Phoenix. 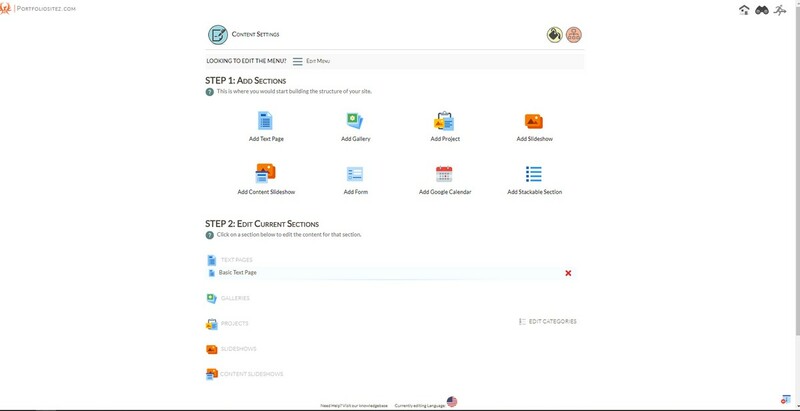 1- Access the content settings page of the Phoenix sitezadmin and use the Add Text Page button. 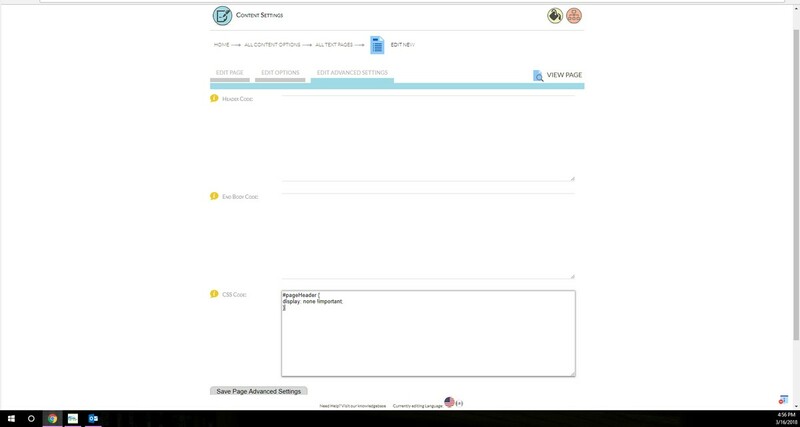 2- When you use the Add Text Page button you will need to enter a name for the text page. Please do not use any special characters in text page names as they can cause unexpected problems. 3- After you add a page the new page will appear on the content settings page under EDIT CURRENT SECTIONS - TEXT PAGES. Click on the new text page to edit it. On the next page you can enter your text and use the settings/icons on the text panel to format it as you desire. Note: If you copy and paste text into the sitezadmin it can often add extra hidden HTML code to your text which might effect it's formatting. You can use the source code button/icon on the text panel to view the text's HTML code. If you copy and paste text into your sitezadmin it is best to strip all the HTML code from your text before doing so. That way you can be ensured that no hidden HTML code is added with your text and then you can reformat it as you desire after it has been entered in the sitezadmin. 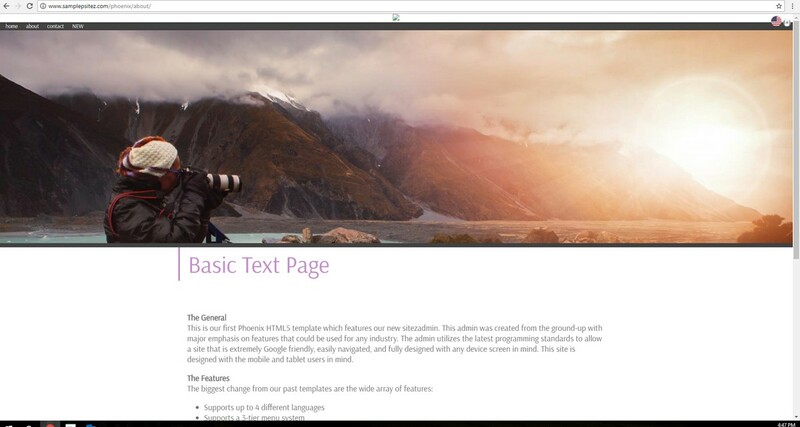 4- Use the EDIT OPTIONS tab and then upload a PAGE BACKGROUND IMAGE for the text page. The PAGE BACKGROUND IMAGE will display on top of the text page. The height of that image display area is controlled by the HeaderImageHolderHeight setting found inside the sitezadmin-edit advanced settings section. If you upload an image that has the same height as the HeaderImageHolderHeight setting the image will remain static on the page. If you set the HeaderImageHolderHeight setting to 0 then no image will appear above the Phoenix text pages and gallery thumbnail pages. 5- After you have created a text page or any new item it will appear on the sitezadmin - edit menu page under UNUSED MAIN SECTIONS. You must then click on the page or item to add it to the menu so it will be visible on your site. It is possible to add an image to a text panel if desired. It is not possible to center the default page title. It is possible to remove the default page title from the text page if desired. This would allow you to create your own site title on top of the text page that can be centered. Please contact us if you have any questions about the text pages on Phoenix.